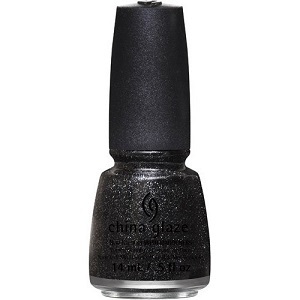 China Glaze Nail Polish, Meet Me Under The Stars, 1343, .50 fl. oz. Graphite and holographic micro-glitter in a sheer black jelly base.